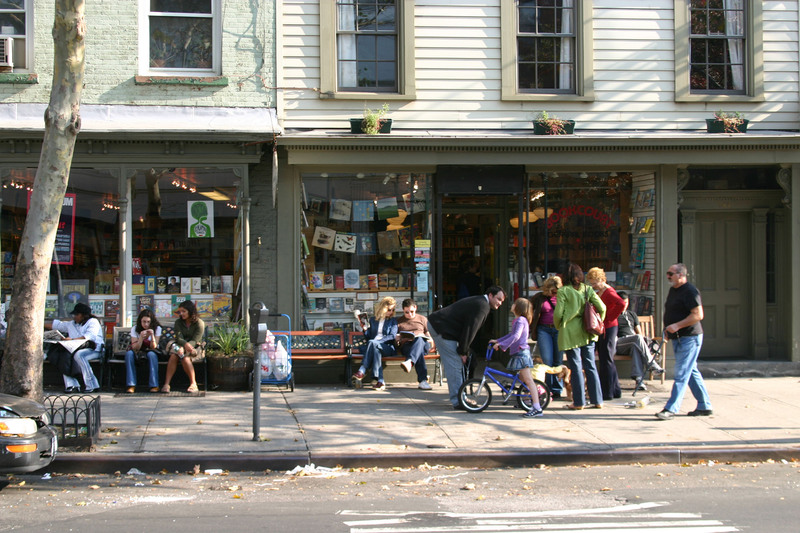 This article is the second in a three-part series exploring the intangible metrics that give a public space a sense of place. Read the first article on affection here, and the third article on improvisation here. When you think of all the ways you would describe a good home, certain words may come to mind: warm, inviting, relaxing, nourishing. But would you describe your local park in the same way? A campus as cozy? A waterfront as welcoming? At its best, a public space feels like an extension of one’s home, and that deep sense of familiarity stems from an equally deep sense of comfort. When people are physically and mentally comfortable in a space, they open up, connect with others, and quite literally kick their shoes off. In this informal atmosphere, public spaces can become “third places,” those informal gathering spots between work and home where our broader social lives occur. 1. Body Language: As Fred Kent notes, “You can immediately tell when someone is comfortable.” A person’s posture slackens. Their pace slows and even their eye movements may change, as they shift gears from moving through a place to participating in that place. These subtle behaviors all mark a release of tension and the early signs of growing comfort. 2. 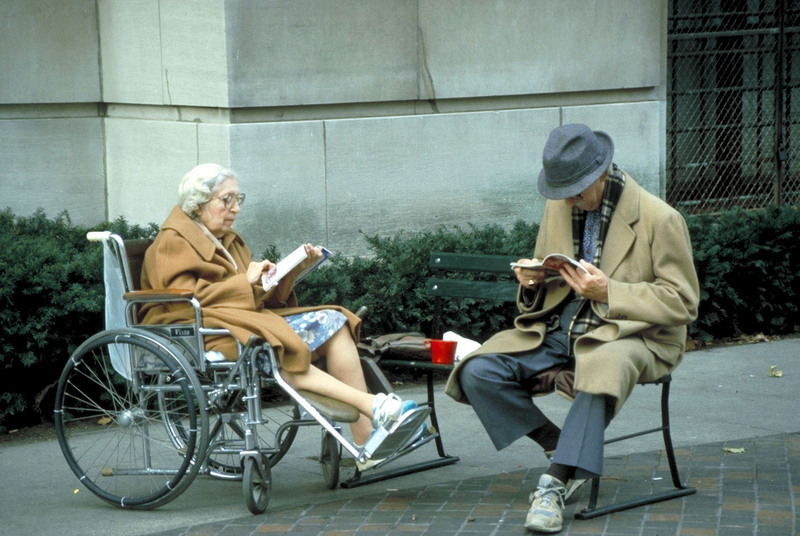 All People at All Times: A truly comfortable space is comfortable for people of all ages, genders, and abilities. And if it’s not, the people most affected will simply not be present. A nice place to sit can make a big difference for people with limited mobility. Well-located, appealing seating draws people to a space in a way that few other things can. But all of the benches and tables in the world are of very little use if, for example, women don’t feel safe using them, or if they aren’t universally accessible. Likewise, if a space doesn’t feel comfortable at night or in inclement weather, many people will simply not show up. At night, good lighting can help make a space feel more safe, but nothing makes it feel safer than more people. Similarly, activity can happen all year round in a public space with the right amenities. For public spaces to avoid seasonal dips in activity, they must provide things like shade, water, and cold beverages in the hotter months, and warmth and shelter in the colder months. For example, Harvard Plaza has successfully extended its season with fire pits and outdoor games for people to huddle around. 3. Affection: At their root, the kinds of behavior we explored in the first part of this series on affection all stem from a sense of comfort. 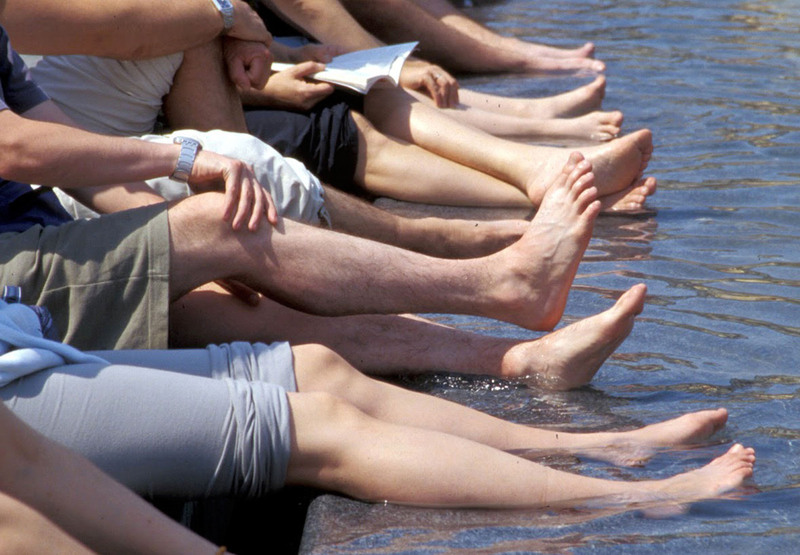 When people are able to relax in a public space, they also relax around one another. That is why proximity, sharing, touching, smiling, eye contact, and public displays of affection are not only good indicators of fondness, but reliable indicators of comfort, too. 4. Improvisation: The degree of improvisation in a public space can be both a positive and a negative indicator of how comfortable a public space is. On one hand, more spontaneous social interactions and activities happen when people feel safe, welcome and comfortable. On the other hand, improvisations can also be a sign that something is lacking in a space. 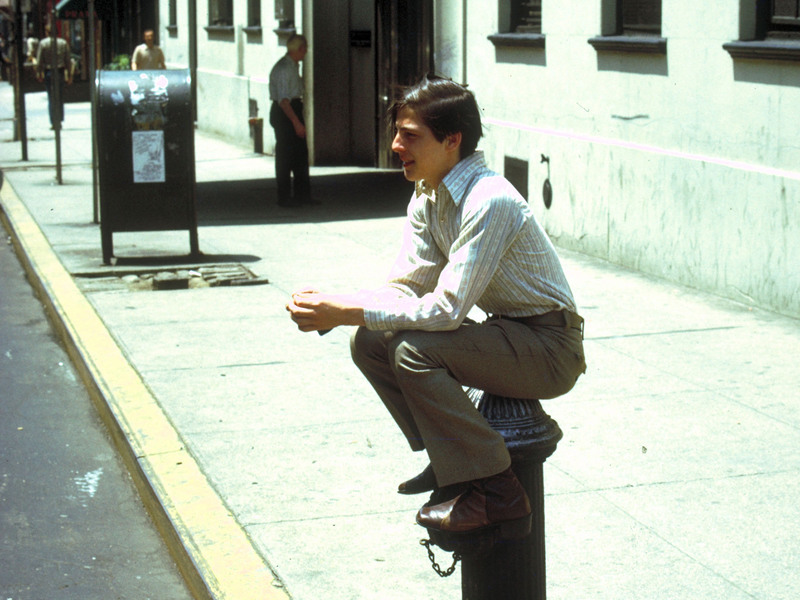 For example, when designers don’t provide enough good seating, users will invent their own, perching precariously on almost anything—bollards, bikes, baby carriages, and even fire hydrants. 5. Habitual Use and Domestic Behavior: According to Fred Kent, bare feet are one of the best indicators of a comfortable space. That is because people treat great public spaces like another room in their house. They take off their shoes, and kick up their feet. They lounge, nap, and eat just like they would in their own home. It often takes time to build up this sense of intimacy and familiarity in public, meaning that return visitation can be an important precursor of these homey behaviors. In other words, the more “regulars,” the better. Even if a space is beautiful, if it is not comfortable it will remain unused and unloved. Comfort is not a luxury or an “extra” to a well-designed space. In fact, some of the most effective amenities that contribute to comfort are informal, cheap, and even ugly. But sometimes this lack of comfort is no mistake. Designers and managers often make public spaces intentionally uncomfortable: Hostile architecture and securitization have become commonplace in efforts to displace people experiencing homelessness. These misguided efforts will always fail to create places that feel like home, and more importantly, they miss the whole point of public space—that it welcomes and gives comfort to everyone.